Women only makeup 11% of the cybersecurity industry and Evolve Security Academy believes that number must increase. We are highlighting the experiences and accomplishments of women in cybersecurity in hopes that more women will feel excited and supported in pursuing this career path for themselves. 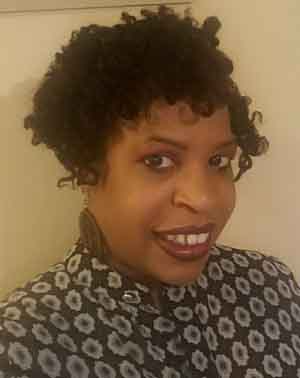 Caron Grantham, Evolve Security Academy alumna and current Network Security Analyst at onShore Security, shares why cybersecurity was the right career for her and the advice she gives to women pursuing their career in the InfoSec industry. 1.) You came to Evolve with extensive experience as a Software Quality Assurance Tester. Tell me about your previous roles. I gained my career foundation in Information Systems and Technology while working 4 years as a Software Systems Engineer for a major computer manufacturer. More recently, I worked 2 years as a QA tester for a national hardware and farming supply store chain. I worked on a project that rolled out a customer loyalty card rewards program and accompanying customer web site portal. 2.) How did you get started in cybersecurity? What made you decide to pursue cybersecurity as a career? Two years prior to employment at the hardware corporation, I transitioned out of a 7-year career involved with entrepreneurial endeavors in both real estate and IT consulting for small business. I wanted to get back full time in IT… so I took advantage of the Workforce Innovation and Opportunity Act (WIOA) in Illinois. I researched the needs of employers nationwide and found that cybersecurity was the career in demand. I attended training in cybersecurity part-time while I worked full-time as a QA tester. Many characteristic skills needed for a career in cybersecurity are required in the career of a QA. Both types of analysts need to be curious, ask questions, pay attention to detail, be assertive, be diplomatic. I felt that my QA background made for a natural transition into cybersecurity and it was interesting to me. 3.) Research shows that only 11% of cybersecurity professionals are women (2017 Global Information Security Workforce Study). What challenges have you experienced entering and working in a male-dominated field? I feel very blessed that I have not felt those challenges in the workforce. I've been in the tech workforce since the late 90's, however while I have not been the only female in most of my work environments; most times I have been the only African American female and that can be more challenging to not see women in S.T.E.M fields that look like me. 4.) You mentioned that it is challenging not seeing African American women in tech, in your experience what is the best way to support African American women in the tech industry? The best way to support women in tech is through introduction of S.T.E.M. to girls and women from our respective (ethnic) communities, in addition to finding ways to mentor and volunteering in community organizations. It is necessary that equitable access to resources, education, and capital is provided across ALL communities whether that be at a local, state or federal level. 5.) What made you decide to enroll at Evolve Security Academy? Why was this program the right choice for you? I learned about Evolve at one of their debut meetups at 1871. Once I met the founders who described what type of students they were seeking, I felt that I was a good candidate with the "right aptitude and attitude", as they say at Evolve. I liked that the goal of the bootcamp was to get competent students quickly spun up to meet the employment requirements for various cybersecurity roles. 6.) How did Evolve Security Academy prepare you for a job in cybersecurity? We worked on real world projects, used the software tools common in the industry, took outings to cybersecurity related events, were introduced to and instructed by actual CIO's, CISSO's, and CISSP consultants in the working in the field. 7.) Where are you working now? What is your day-to-day role like? I work as a Network Security Analyst at onShore Security. Our company offers Managed Security Services. My job is to monitor Network Intrusion Detection Systems and firewalls, mostly for midsize banks. I also develop and present weekly high-level metrics and trend analysis reports to C-suite officers. I am also responsible for executing authorized vulnerability scans and reporting results and remediation. 8.) In your opinion why do you believe that women should join the cybersecurity industry? Since there is already a shortage of qualified people as it is to fill all the cybersecurity positions available, why should women not join? Women should be in any field they like to pursue in S.T.E.M. 9.) What advice do you have for women who are interested in making a career change into cybersecurity? Just do it! Do the research into the industry, attend tech meetups, find like minds, determine what interests you in this broad industry and pursue it. 10.) What resources would you recommend to women who are looking to join the cybersecurity industry? Read the industry blogs and articles found on DarkReading, Krebs on Security etc. Obtain membership in various professional organizations like ISSA, ISACA, OWASP,WiCyS etc. Take the next step in your career by applying to Evolve Security Academy. Want to learn more about the Evolve Security Academy experience? Checkout past articles from our alumni, Ariel, Application Security Analyst at United Airlines and Patrick, Senior Cyber Threat Intelligence Analyst for FireEye.